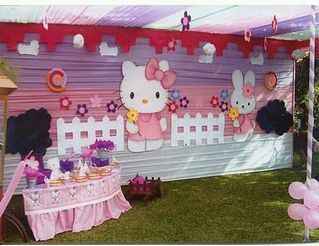 One of the favorite themes for decorating children parties for girls, is the tender Hello Kitty, this is usually the person chosen to be the birthday party star of our child. For this reason we bring a number of decorating ideas that will help you give life to the environment in which you`ll make the meeting, remember, not everything that looks good indoors, also looks good in open and vice versa. 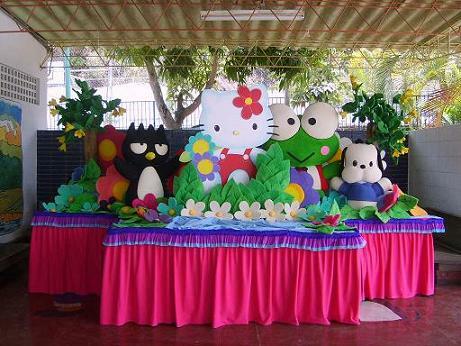 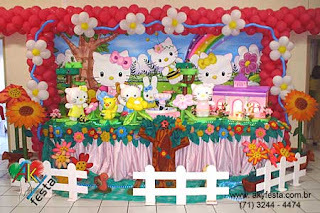 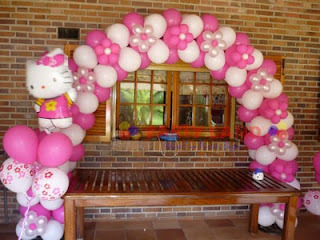 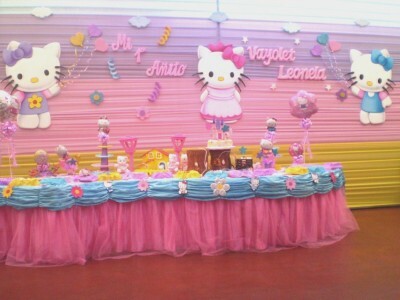 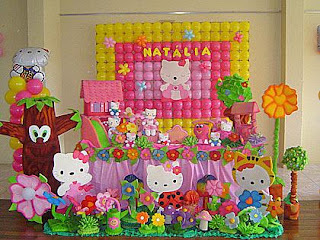 The photos presented here are decorations made from balloons, panels and drapes, but depends on the theme of your party to choose whether to decorate only with Hello Kitty or accompany some other elements, in fact, because they are children parties, both options tend to be really good. 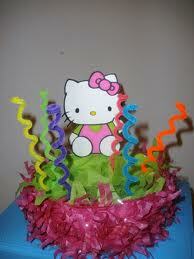 Finally, the centerpieces are also an issue to consider here are some ideas.